The Executive Producer and stars of The 100 talk about the show’s upcoming Season 3. 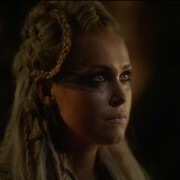 New photo from The 100 Season 3 — plus, we talk to Eliza Taylor about Clarke’s future! Advance review of the second season premiere of The 100, which is called The 48. The 100: See The First Three Minutes Of Season 2!